We have walked a mile in your shoes. As former cadet parents, we realize how exciting, emotional and challenging these cadet years will be for you and your family. We know that sending a child off to college is stressful and that sending them off to a military academy makes it all the harder. We also realize how little accurate information is available to you regarding what is happening at the Academy. Check out the links below for resources you can use all year long to stay informed and connected. For parents of new cadets entering basic training, WebGuy becomes your new best friend! 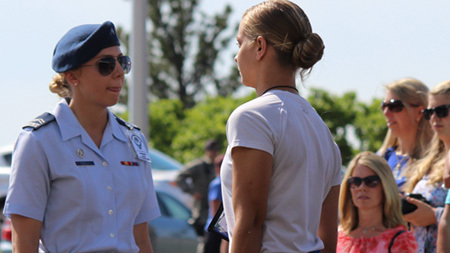 During the academic year WebGuy is a window into cadet life with our blog and photo galleries. WebGuy is not just for new parents, it is a year round program providing a glimpse into Academy life! Follow WebGuy all four years and enjoy a sneak peek into all of the opportunities that come with the cadet's Academy experience. Sign up now! Book - Count The Helmets? Your son or daughter has recently reached their goal and received their Appointment to the United States Air Force Academy. Congratulations! We all know what a grind it can be… especially for the parents. So, given all the information, facts, figures and pictures you’ve all seen, and the countless hours of discussions, speeches, and counseling your young adult has received along the way that got him/her to this point, why should any appointee’s parent read Count The Helmets? This book, like no other, will help your youngster make a better, more informed decision about whether the AFA is the right place for him/her… or not. And, it will help you, as parents, to be better able to understand the culture of this extraordinary institution… the United States Air Force Academy and the United States Air Force. Good luck to all of you! Experience the first ever feature length documentary of the Air Force Academy. This film follows the class of 2014 through their first year here at the Academy. A Year in the Blue portrays the life inside the Academy – the heartbreaks and triumphs of balancing military training, a rigorous four-year college education, mandatory athletics, and more. Follow us on Facebook, Twitter and Instagram! Read our magazine and weekly newsletters. 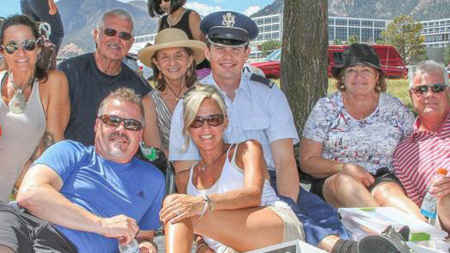 USAFA Parents Clubs are located throughout the country and serve as a support network for parents and cadets alike. 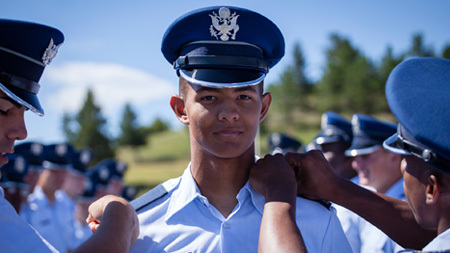 If you are interested in learning more about going to the Air Force Academy, check out the Academy Admissions website. 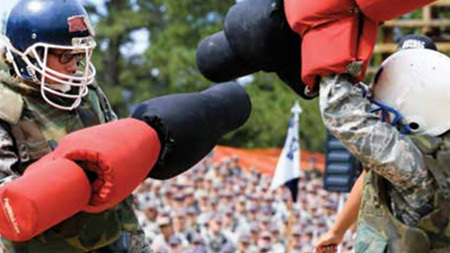 For parents of new cadets entering basic training, WebGuy becomes your new best friend!